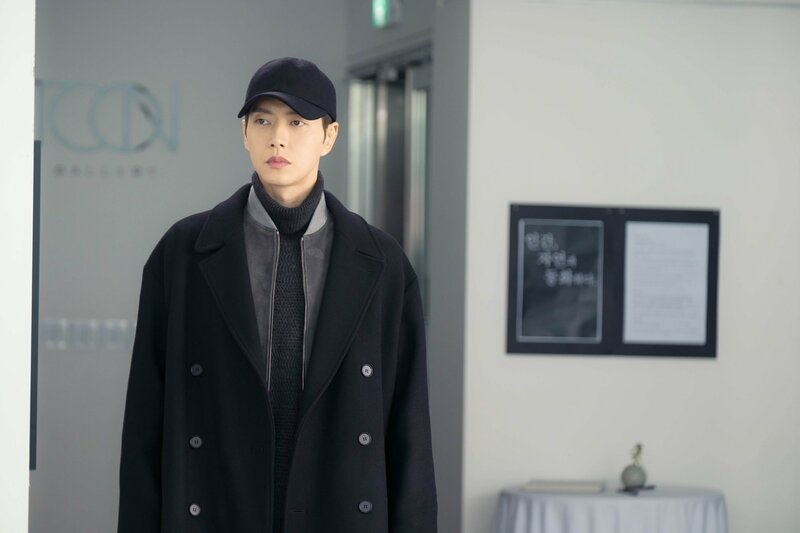 Man to Man main leads Park Hae Jin and Park Sung Woong recently sat down to answer some questions about their drama that is currently airing on JTBC. The drama series have received a great popularity since its premiere on April 21, and it is concurrently available for global streaming (except Korea and US) on Netflix at the same time slot as its telecast in Korea, making it Netflix’s first simulcast of a Korean drama in over 20 languages to millions of subscribers across the world. Special thanks to Netflix, who has obtained exclusive global broadcasting rights to this drama series, we managed to secure an interview with the two male leads where they shared their filming experiences and challenges for this drama. Q: How did you approach your character? Do you take any reference from other films or dramas? Park Hae Jin: I referred to a lot of other works for the show. I watched an American TV series ‘Burn Notice’ and other movies with an agent character like the Bourne series and 007 series, but they didn’t seem like a good reference for this specific character that I am playing. I was more influenced by a movie called ‘Man from U.N.C.L.E’ whose main characters are very witty. I should have shown only the witty side, but our characters actually displayed a lot of comic elements, so I’ll leave it up to the audience on how it’s going to be received. Q: What was it like to work with Park Sung Woong as your opposite? It’s been 10 years since ‘East of Eden’ where you two worked together. Park Hae Jin: I was very glad when I heard that I could work together with Sung Woong. We did work together 10 years ago in ‘East of Eden’ but there was not a single shot where we were in the same frame. It felt very fresh to me that I got a chance to work with him after all those years. We definitely became closer to each other while working on this current series. Q: How about sharing romantic scenes with Kim Minjung? Park Hae Jin: Speaking of romance, I would say you’ll see more of bromance. Even with Kim Minjung, our chemistry is more like a quarrelling-with-each-other kind of relationship and not a typical love-each-other relationship. I believe that the audience will find it more fun and interesting. Q: How challenging was it to do all the stunt work and big actions? Did you enjoy it or did you feel a lot of pressure? Park Hae Jin: We do have a lot of action scenes but they weren’t that intense. Most of the stunt choreography is very quick, simple and not really big scale. I think the action style matches well with my character, Sulwoo. There won’t be lots of long action sequence but I’m sure it will give a big impact to the audience. This is my first time trying out an action genre, so I had to train at the stunt school to get ready for the role. I’ve been personally training for a type of martial art called Krav Maga and it was very helpful in preparing for the role. Q: What was the biggest challenge and the most rewarding thing you experienced while shooting ‘Man to Man’? Park Sung Woong: My character Woonkwang is supposed to be very upbeat, but nobody really expect to see that side from me. Director Lee Changmin did know that I have that character inside me since we worked together for ‘Remember: War of the Son’. I had to be almost ten times more vivacious than how I did for ‘Remember: War of the Son’, but PD Lee could not hold his laughter while directing behind the monitor. Because of that, we had to reshoot the scene several times. That made me feel very rewarding since it explained a lot about how funny I was while acting. The challenging part was, sometimes I had a moment when I got a little confused about myself and Woonkwang. Usually I don’t hold my head so high on set, but I easily got high spirited and acted as though I’m Yeo Woonkwang even off camera while I was shooting this series. That was the most challenging part. It took me almost one month to get out of the character but I still feel a bit hazy. Back then I was working on a musical called ‘Bodyguard’, so I got to feel fresh and new on stage while playing the musical. But whenever I came back to set, I became Yeo Woonkwang again, so I was very confused. I even considered getting a counseling session as Hollywood actors do. It was hard for me to come back to reality, but I’m fine now. Q: Seems like you relate to the character very deeply. Park Sung Woong: Well, I usually go into characters deeply, but it was my first time feeling this kind of emotion and I’ve been just hazy the whole time. I usually memorize my lines days before the shoot, but this time I didn’t do that, on purpose, just to be like Yeo Woonkwang. I asked for a few minutes to memorize the lines right between the rehearsal and the shoot and worked on it for about a minute by myself. Q: Now you are back to normal, right? Park Sung Woong: I am. And another thing I feel really grateful is, I just got into another project and started shooting recently. I could feel that I’ve levelled up as an actor. I wasn’t very specific about acting before but now I’m more focused on the details. It all started from this multi-layered character, Yeo Woonkwang. There were lots of ups and downs. I discussed a lot with the director, asking him ‘Can I go this far?’ and he said ‘You can certainly do whatever you want with this character’. Sometimes I go high like rocketing the sky and suddenly I go down like drilling into underground, but throughout all this process, I feel like Yeo Woonkwang is Park Sung Woong, and it made me feel more philosophical. Q: Describe Park Hae Jin in a line (After getting to work with him). Park Sung Woong: 김설우만큼 멋있는 배우 (A cool actor like Kim Sulwoo). Q: Describe Man to Man in a line. Park Sung Woong: 모두가 빠져들 드라마 (A drama that everyone will fall in love with). Q: Since Man to Man took over the time slot of JTBC’s strongest rating drama ‘Strong Woman Do Bong Soon’, does this give any pressure to the cast and crew? Park Hae Jin: Rather than feeling pressured, we were more thankful to the ‘Strong Woman Do Bong Soon’ team. They proved that it can be a successful time slot for a drama series. Q: Please give a shout-out for your Singapore fans. Park Hae Jin: I really appreciate your endless support. I wish I could visit you more often. I’ll always keep your love and support in my heart and will do my best for everything. Thank you! Park Sung Woong: A lot more exciting stories are coming up in Man to Man. I look forward to your love and support for this drama. Thank you! Man to Man Episodes are available at Netflix. Subscribe with Netflix and watch Man to Man. This entry was posted in Actors and Actresses, Park Hae Jin 박해진 남편 and tagged cheese in the trap, hallyusg, interview, kdrama, Kim Min Jung, Kim Seol Woo, kimseolwoo, Park Hae Jin, Park Sung Woong, parkhaejin, Sunbae, Yoojung, Yoojung sunbae. Bookmark the permalink.